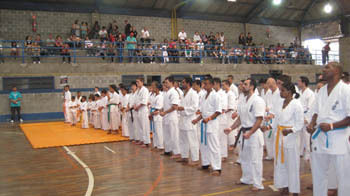 The 13th Mogiano friendship match was held on April 1st, 2012 at the Master Sports Center in Mogi das Cruzes, Brazil organized by Marcos Furlan from the Mogi das Cruzes Dojo. 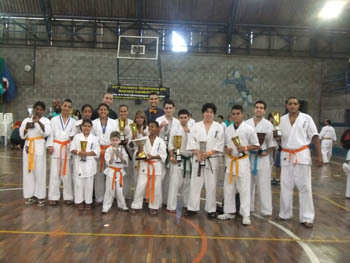 112 members aging from 5 to over 50 years participated from 10 dojos in the Kata and Kumite category. 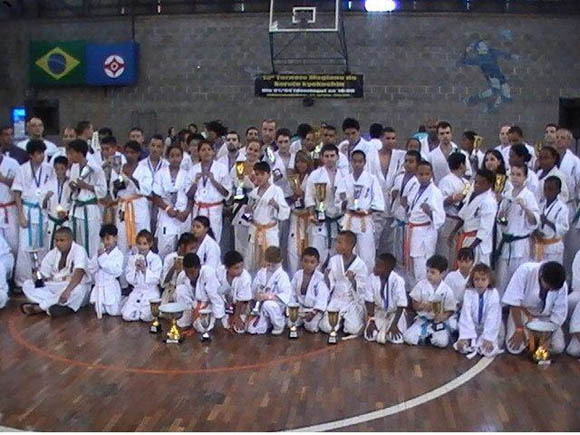 This annual event gets great support from the local Mogi da Cruzes and the 1000 capacity sports center was a full house making the event a great success. Mogi das Cruzes is a city 60km from Sao Paulo with a population of 500 thousand and known for it's agriculture. 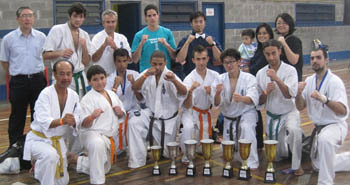 The first Kyokushin Dojo was opened in 1974 with Andrews Nakahara one of the students that trained at that Dojo.